People touch a spot above their eye and say, “The headache is a spot right here that hurts.” When both sides of the neck are involved, they rub their hand across their forehead and say that it hurts all the way across. Clients usually don’t tell their massage therapist that their ears bother them as they don’t think it is a muscle problem. If I ask about their ears they usually talk about itching instead of pain. The other section of sternocleidomastoid creates pain around the brow and is activated more by the twisting motion with some forward pull. This section creates pain when there is lots of pulling forward pull and, possibly, some twist. I had a client come in with this headache from reading her iPad like this. Two things really help: First, avid these posture that pull the head forward from a relined position. Adjust your bed pillows, change the place where you watch movies. Stop sitting in chairs with your hips pulled forward. Second, use the ice and stretch routine, especially after these activities that stress the neck. Ice from the back of your ear down to your collar bone and then turn your head toward that side a 4-5 times. Here’s a post on the basics of ice-n-stretch. There are more than 20 joints between the origin and insertion of this muscle. Travell calls this muscle “amazingly complex” but it responds well with lasting results when the joint problems are addressed. Upper cervical joints and the sternoclavicular joint seem particularly influential on the trigger points in this muscle. The atlanto-occipital joint is particularly influential on SCM. An ice and stretch routine helps in saving time and easing discomfort before direct treatment. It softens and releases a great deal of musculature, leaving the critical pieces available for focused work. 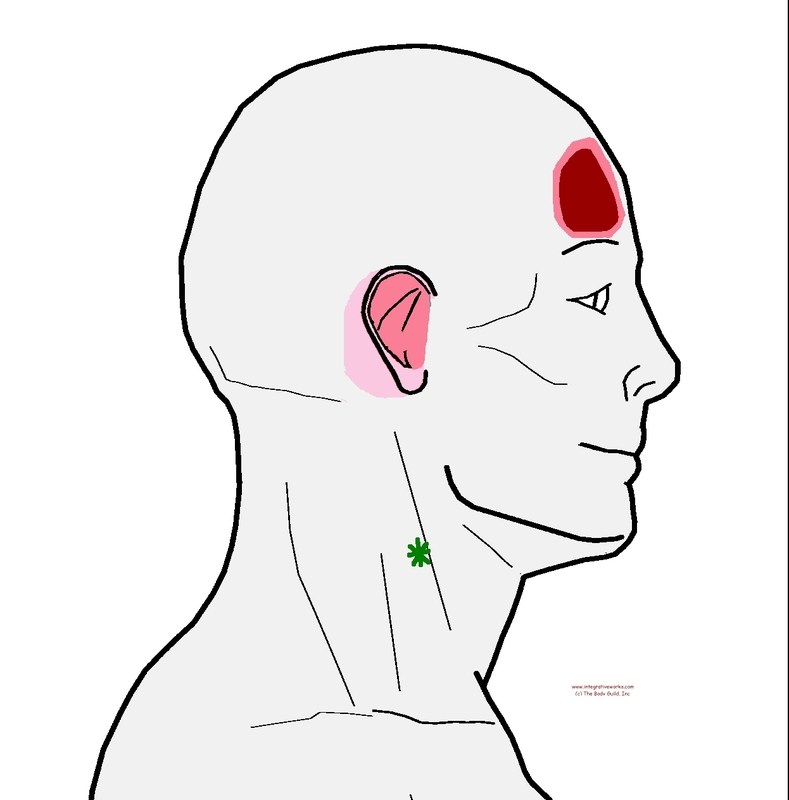 A good sub-occipital routine or lamina groove route is also helpful before treating SCM directly. This muscle crosses a lot of joints and can be complex to resolve. Your bodywork therapist can figure that out and help you with lasting relief.